If you work as a builder or a mechanic, you can’t do your job without certain tools. That’s why the HMRC allow you to claim back tax on buying and maintaining them. If you don’t get organised with your rebate, then you could be missing out on a wedge of money back every year, but don’t worry. Here at Brian Alfred, we’re experts and can help you with all the ins and outs. Here you’ll find everything you need to know about tool tax rebates, so you can get that saving sorted as quickly as possible. What is a tool tax rebate? A ‘tool tax rebate’ is part of the overall tax rebate available for mechanics and construction workers. It’s the part that applies to, funnily enough, tools! But it also applies to uniforms and specialist protective clothing, like jackets, as well. 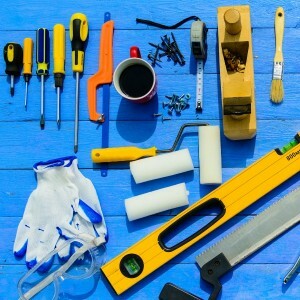 Do I qualify for a tool tax rebate even if I’m not self-employed? Any builder or mechanic is eligible, whether you’re self-employed and paid via CIS or fully employed and paid through PAYE. Basically if you own and maintain tools, then you’re good to go, though what you can claim for does vary. What tools can I claim back on tax? You can claim back tax on any work tools that you’ve purchased or hired, plus any protective clothing or uniform laundering if you’re PAYE. For instance, if you’re a CIS worker and don’t wear a standard uniform, you can claim for your high vis jackets and boots, but you can’t claim for generic work clothes like jeans. If you’re a PAYE worker, and you have paid to replace certain tools or equipment instead of your employer (and the same/similar item wasn’t provided by your employer to use on site) you can claim for that. Do I have to keep receipts for everything? There are actually two ways to claim. You can either claim for exactly what you’ve spent – so you’ll need to keep receipts to prove that amount – or you can claim a ‘flat rate deduction’. This is a fixed amount that the HMRC sets based on averages across different professions. You can check the list here, but if your occupation isn’t listed you can still claim standard tax relief of £60 a year. Claiming back using the flat rate is always going to be a bit simpler and save you time, because you don’t need to keep any records for what you pay out or do any sums. But if you’ve spent quite a bit on tools and clothing, you may find you that you can claim quite a bit more just by putting the time in to submit your tax return with receipts. For details of what else you can claim back in your tax rebate, visit our guide to builders expenses. How can I claim back tax on tools? Claiming your tax rebate on tools, and other expenses is easy with Brian Alfred. We’ll take care of everything as part of your standard tax rebate. Just download our Builders and Mechanics Tax Pack, fill everything in, and send it back to us. We’ll work everything out to maximise your rebate, then give you what you’re owed within 24 hours. We’ll then claim it back from HMRC, so you don’t have to wait.